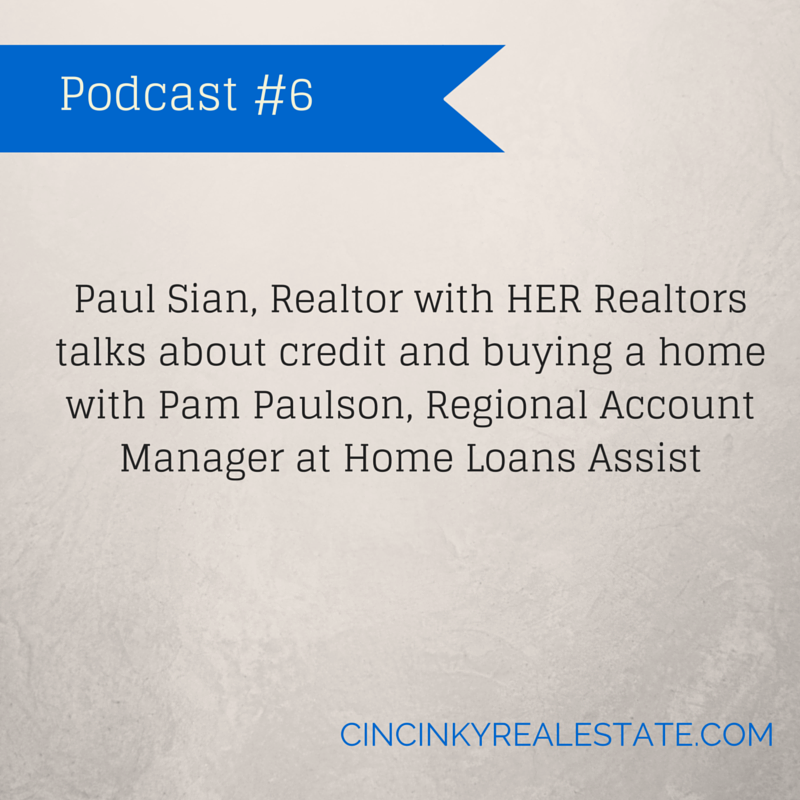 For this podcast I sat down with Pam Paulson, Regional Account Manager with Home Loans Assist. During our conversation we discussed credit rating, the impact of bankruptcy on credit, types of debt and more. This podcast is helpful for those about to purchase a home who are wanting to learn about how their credit will impact them. I hope you enjoy the podcast and find it informative. Please also consider sharing with those who may find it useful. You can connect with Pam via LinkedIn. About the author: The above Podcast “Podcast #6 Topic: Credit and Buying A Home” was provided by Paul Sian. Paul can be reached at paul.sian@herrealtors.com or by phone at 513-560-8002. With over 10+ years experience, if you’re thinking of selling or buying, I would love to share my marketing knowledge and expertise.